Another year, another new Ultraman. 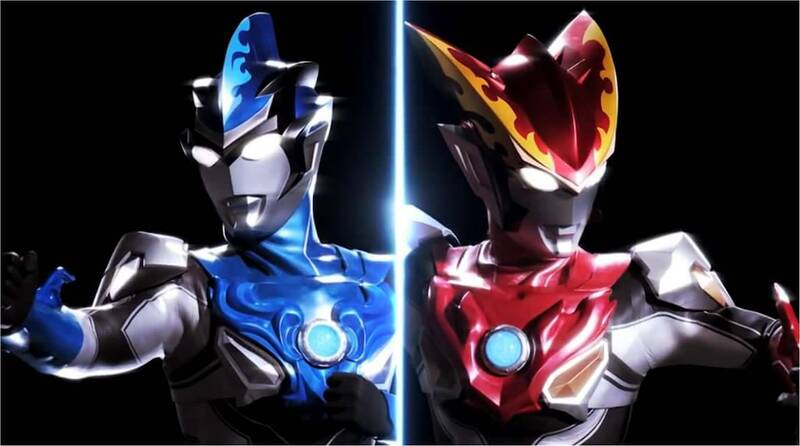 Tsuburaya Productions debuted Ultraman R/B (pronounced “roob“) earlier this month, the 30th installment in the illustrious Ultra series. 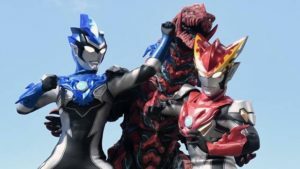 Unlike other Ultraman shows, R/B follows two brothers, Rosso and Blu, as they battle enormous monsters. R/B is also unique in another way: so far, it has been given no stateside release whatsoever. 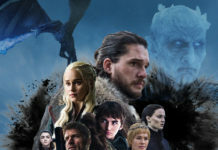 Since 2015, Ultra fans in the USA have been treated to simulcasts of new shows on the anime and drama streaming service Crunchyroll. It was like clockwork. New Ultraman shows up in July, Crunchyroll picks it up a week later. What started as a pleasant surprise became an expectation. In the weeks leading up to R/B’s premier, no fan doubted that it would be simulcast. I know I didn’t. 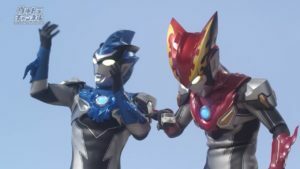 I spent two weeks finishing up Orb and Geed as an appetizer for R/B’s Crunchyroll debut that never came. So far, no official word has come out from either side. Crunchyroll has released no statements concerning R/B or any changes to their deal with Tsuburaya. As of now, though, all the Ultraman shows in their catalogue (both simulcasts and older shows) remain available for streaming. Tsuburaya Productions, on the other hand, has had a more…aggressive response. Not an official one, but one that definitely sends a message. Initially, the debut episode of R/B was posted to Tsuburaya’s official YouTube channel. They even allowed American fans to add their own subtitles using the caption feature. Seemed like a pretty good compromise at the time. That compromise became all too fleeting, though. Tsuburaya threw down a blockade and region-locked all future episodes to prevent viewing outside of Japan. 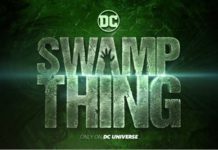 So much for fans and creators coming together. There have been vague rumblings from the company about an official English version coming eventually, but when? Where? And why not on Crunchyroll? Tsuburaya has always had a little trouble with international distribution. 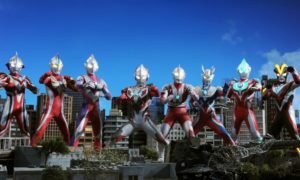 Until recently, they were stuck in a massive legal tiff with Thai company Chaiyo concerning the overseas rights to Ultraman. In 1996, the head of Chaiyo claimed that the head of Tsuburaya Productions gave him ownership of the first six Ultra series and characters in 1976 in exchange for a loan. What followed was twenty years of back-and-forth litigation that only got settled this past spring. The lawsuit caused Tsuburaya to miss several major opportunities. For example, Ultraman had to be cut from the movie version of Ready Player One since the rights were still up in the air. He ended up being replaced with the Iron Giant. Remnants of the legal battle could have undercut Ultraman R/B’s US release. Alternatively, with the lawsuit finally behind them, Tsuburaya could have been opened up to new avenues. It was reported recently that an anime adaptation of the Ultraman manga would be released worldwide as a Netflix exclusive. 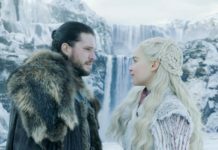 Maybe a wider deal with Netflix is in the works? But maybe the answer is even simpler. Maybe Crunchyroll isn’t simulcasting Ultraman R/B because…it’s not very good. Not many people were able to catch the first episode before Tsuburaya blocked it, but those that did were not impressed. Filled with slapsticky/cartoony action and overstuffed with toy-shilling transformation sequences, R/B had easily the worst debut of the past four seasons. Perhaps Crunchyroll had the same feeling and decided it wasn’t worth their time. Face it, would you want to spend the next 25 weeks putting effort and work into something that you didn’t really like that much in the first place? I’ll keep my nose to the ground about what Tsuburaya ultimately decides to do and keep this story updated. As for R/B, maybe it’ll pick up the quality once it gets a few episodes in. But for us fans on this side of the Pacific, we may not get to find out anytime soon.